Teaching Your Star to Shine! Our goal at Starz Dance Galaxy is simple: Provide the best environment for our children to grow into confident young adults while learning to excel in the art of Dance. When the kids are out of school it certainly does not mean you are out of work. At Starz Dance Galaxy we provide a safe and fun Summer Camp environment that your children, ages 4-14, will enjoy coming to each day while you are at work. At our Summer Camp, campers will enjoy a field trip 4 days a week, craft time, a dance class and so much more! We strive to provide the best value available for all of our Summer Camp families. Click the Summer Camps tab for more information and to download a registration form! Starz Dance Company member Malia is an Ambassador for Stretch it Out Stretch Ladder and they are offering a special discount with use of her specific code! Happy Shopping! April 26 - 28 - GOOD LUCK to our Starz Dance Company at Competition this weekend!! April 29 - May 4 - Recital Costume Distribution Week AND Teacher Appreciation Week!! We will pass out & try on the recital costumes during this week at your dancer's normal dance class day/time! It's also TEACHER APPRECIATION WEEK! Bring your dancer's teacher a special note or flower or anything to show how much that they love their class! May 20 - 25 - Recital Picture Week!! May 27 - CLOSED in observance of the Memorial Day holiday. May 29 - First day of 2019 summer camp AND last night of classes for the 2018-19 season! REGISTER NOW for the 2019 summer camp or class sessions! As we complete our 6th year under the ownership of Phil & Jeanine Thomas and the Artistic Direction of Kelly McGuire, we continue to have great joy in watching all of our Dancers grow! Our incredibly talented staff is looking forward to sharing their passion and expertise with each and every student in the SDG dance family this season and beyond! Come by during business hours and check us out! Enrolling now for summer 2019! ​CALL 407-332-7827, e-mail StarzDanceGalaxy@gmail.com OR VISIT US DURING OFFICE HOURS FOR MORE INFORMATION! Teaching YOUR Star to Shine! Starz Dance Galaxy has recreational dance classes available for kids ages 2 to 19. For some this is the beginning of a lifetime love of dance that can lead to competitive dance with the Starz Dance Company. For many the chance to learn from our highly skilled staff just for FUN is the right path. 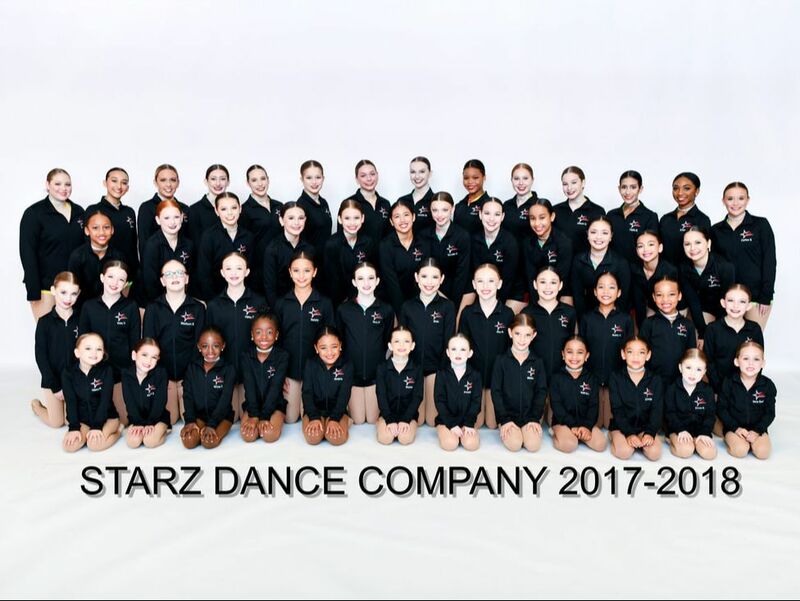 The Starz Dance Company has produced many high level competitive youth dancers and professional dancers. Whether dance is a career path or simply a vehicle to learn the many lessons competition can teach, we tackle competition with the proper attitude. It is all about the kids, celebrating their achievements and teaching them to be strong when tackling life's challenges.